He would replace, Rahul Khosla, the current chairman of Max Life and Max India and president of the group. Last year, in July Analjit Singh, was appointed as non-executive chairman of Max Financial Services. Now he is set to be appointed as non-executive chairman of Max Life Insurance Company, the life insurance entity of Max India. Singh is also the chairman of Max Ventures and Industries, the listed holding company for group real estate and packaging business. With this appointment, Singh will become the non-executive chairman of all the major companies of Max Group. The appointment comes as Rahul Khosla, the current chairman of Max Life and Max India and president of the group, is expected to retire by March-end after completing his current term. However, the official announcement is yet to be released. 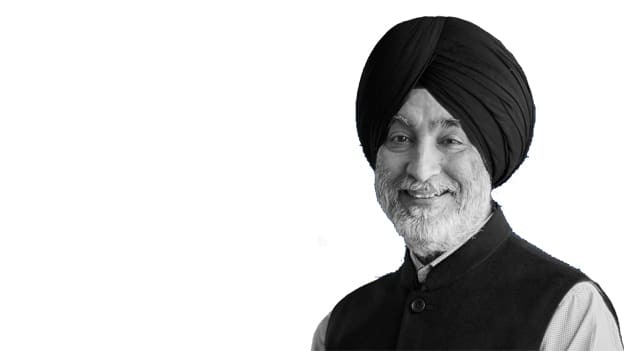 With this move, Max India aims to send a strong message to domestic and overseas investors that as sponsor Analjit Singh remains committed to these entities and will continue to engage with all the stakeholders of these companies on a proactive basis, as per a report. Besides Singh's appointment, Max India is looking to make further changes in leadership. Mohit Talwar will be named group vice chairman and will be the seniormost professional in the group. He is currently serving as the managing director of Max India and Max Financial Services and is also the vice chairman of Max Ventures and Industries. Max India is in a midst of a crucial phase of business. It is looking to divesting some of the businesses, including healthcare and health insurance. On one hand, it has signed a definitive agreement with Radiant KKR for a two-way merger of its healthcare business, on the other, it is in advance discussions with private equity firm True North to divest its stake in Max Bupa Health Insurance. While the proceeds from these transactions will help fuel the growth of Max India, it would also require the expertise of leaders like Singh and Talwar who would help direct these funds in the right direction. As Max India goes through a major business transformation, leadership's role remains extremely crucial in this phase.